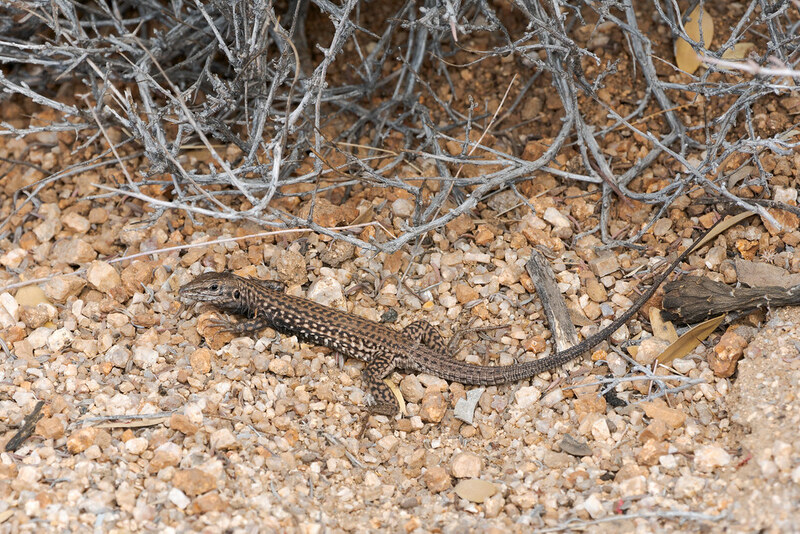 The tiger whiptail is one of the lizards I see most often hiking in the Sonoran Desert. They are frequently on the move looking for insects and small lizards and active in the morning when I’m on the trails, so they more easily catch my eye than some of the other lizards. I arrived in Arizona at the end of March, from what I’ve read the tigers are mostly active from April to August so I may not be seeing them much longer. This entry was posted in Reptiles and tagged Arizona, Brown's Ranch, desert, Hackamore Trail, lizard, McDowell Sonoran Preserve, Scottsdale, Sonoran Desert, tiger whiptail. Bookmark the permalink.